It was a sad day in December 2017 when I learned the inevitable had finally come to pass. After ten storied years, Phoebe Philo would be leaving her post as designer of Celine. Philo has always been a bit of a mystery - a masterful designer who intuitively knew what we needed in our wardrobes to feel strong, unique, and comfortable in our own skin. Her designs were feminine but never overtly sexual. A way for women to exude natural confidence that comes from projecting on the outside the way you feel on the inside. She made it effortless. Never one for grandstanding, Philo eschewed the spotlight, kept her head down, focusing on family and her quietly growing design empire. It’s poetic that she chose to leave Celine to spend time out of the fray and focus on the quiet of her personal life. No grand statements about why she left. No wringing of the hands, tell-all interviews, or complaints. She left as she entered, with dignity and honor. Which is why the appointment of Hedi Slimane to take her post was all the more jarring. His well-documented style of decadent nightclub skinny heroin chic diverged completely from the aesthetic Philo forged for Celine. And his appointment seemed to be a bid by LVMH to simply erase history, as if the customers of the last 10 years who buoyed the brand to critical and financial success never existed. It felt like a cold slap in the face. If LVMH wants to attract the next generation of customers and grow their financial base, why ignore the women with the purchasing power who put Celine on the map? I’m a realist. I understand LVMH’s desire to make money and grow their brands to the fullest extent. Slimane has a track record of financial success during his tenure at Saint Laurent and Dior Homme. 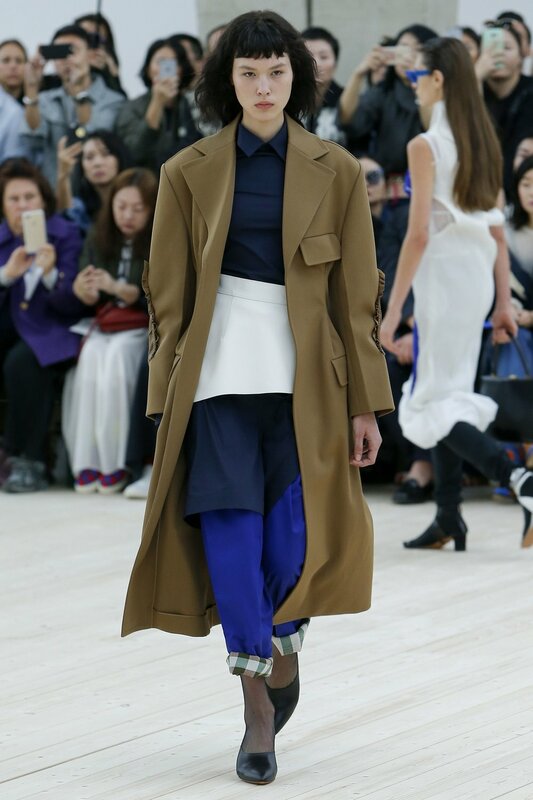 I harbored no illusions and expected no surprises about what his debut Celine collection would be. All the hallmarks were there: Waif-like white androgynous models - check. Shrunken tight dresses - check. Skinny tailoring - check. Mostly black palette of fabrics - check. His oeuvre, while never critically lauded, has always had legions of fans willing to shell out upwards of $2K for his creations just to feel like a part of his Parisian vampire nightclubbing fantasy. But let’s not forget what happened during his tenure at YSL. He controversially removed Yves from the brand name, dubbing it simply Saint Laurent. He convinced Kering to shell out millions to redesign all of the stores to his strict specifications. He shot the photography for his own campaigns. In other words, it was his way or the highway. Nothing wrong with that. A creative visionary has the right to control the blueprint and the execution. Who among us wouldn’t want that control if given the chance and the resources a global fashion house could provide? But after only 4 years at the helm, Slimane left Saint Laurent in a blaze of angry glory, burning every bridge he could along the way. His exit was far from graceful with his final show a not-so-subtle F.U. to his employer, very public Twitter tantrums against his former bosses and a lawsuit ultimately winning him $11.5 million dollars in damages. Contrast this exit with Philo’s graceful exit, and you see where the dichotomy lies. So why would LVMH go to such lengths and spend millions to woo a potentially litigious troublemaker who might leave them high and dry after only a few short years? And why not just give Slimane his own namesake label rather than upending all the progress Philo made building Celine into a respected and profitable powerhouse? Answer: publicity and lots of it. In a mere few weeks leading up to his debut, Slimane drew massive social media attention by simply erasing the accent aigu from the Celine name and deleting all of the photos from the brand’s Instagram account. Gifting his debut bag to Lady Gaga resulted in millions of views worldwide to her massive fan base, many of whom had likely never heard of Celine before. His debut show was a packed house and countless articles have already been written (including this one) in response. The publicity machine is working, and I suppose I’m playing my part in giving LVMH just the sort of attention they hoped Slimane would bring to the house of Celine. There is a method to the madness, however, I’m not certain it’s good for the future of fashion. The industry in recent years has become a giant game of high-priced musical chairs with Kering, Burberry, Richemont, and LVMH recycling the same designers endlessly. Tisci, Slimane, Simons, Galliano, Jones - the emperor is wearing clothes, but they’re the same ones simply with different labels. LeBron can play for the Heat, the Cavs, or the Lakers, but it’s still the LeBron brand - never the team. Where’s the risk taking and giving chances to lesser-known designers? Gucci’s appointment of an unknown Alessandro Michele in 2015 as creative director raised eyebrows, mine included. But the gamble clearly paid off creatively and financially. Gucci is now Kering’s biggest cash cow. Michele understands quite clearly that the world has shifted, and his quirky designs, reinforce the idea that it’s not only ok to be yourself, it’s something you should embrace in all your pattern-clashing, eccentric, nerdy realness. A single-minded focus on hiring only the known quantities in fashion ignores new ideas and the seismic societal shifts in how the next generation views the world and their place in it. Two years after Slimane’s tenure ended at Saint Laurent, the world already feels like a very different place than when he left it. Waif-like bodies sculpted by drugs and cigarettes out nightclubbing in male fantasy Courtney Love baby doll dresses clashes uncomfortably with #MeToo protests, women fighting to keep basic rights we thought were solidified decades ago, and a desire for brands that understand what it means to be an individual living in the real world. Nothing wrong with fantasy - runway shows have always had the power to take us somewhere magical for a few minutes. 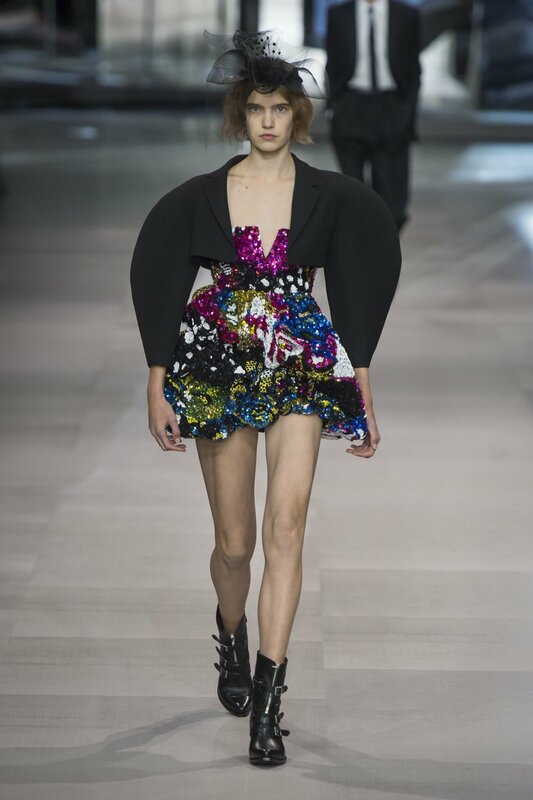 McQueen and Kawakubo are the all-time masters of fantasy. But the difference is that every season, Lee and Rei gave us something brand new and completely unexpected, often anticipating the zeitgeist. But with Slimane, he keeps playing us the same tired record over and over again. I’m heartened to see women confidently leading the ranks at Chloe, Dior, Givenchy, McQueen, The Row, Hermes, and namesake labels like Stella McCartney, Victoria Beckham, and Gabriela Hearst. It’s unsurprising that this season’s collections by newer faces like Natacha Ramsay-Levi at Chloe and Nadege Vanhee-Cybulski at Hermes are some of the most chic, wearable and relatable for how women live their lives. And it isn’t just the female designers who give me hope. Rokh Hwang, J. W. Anderson at Loewe, and Rick Owens are doing beautiful work that’s innovative, unexpected, and wearable. I’ll always treasure my Phoebe-era Celine pieces, and maybe one day, if we’re lucky, she’ll grace us again with her genius. If my consumer dollar buys me power, then you know where my money is going now that Phoebe’s gone. Oh and I might be spending some quality time trolling consignment sites for those now-collectable Phoebe pieces we’ll never find again. Happy hunting friends…and if you’re a size 40 shoe, practice your typing because my Add to Cart click will be faster than yours.